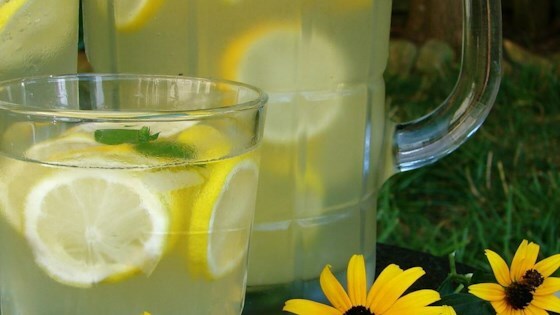 "An easy to make fresh lemonade recipe for a crowd. Garnish with a fresh mint sprig and maraschino cherry." Fabulous! I made this for a party and everyone wanted the recipe. Family and friends said that party lemonade is the best lemonade they have ever had. This is excellent! This is perfect lemonade. Doesn't get any better.